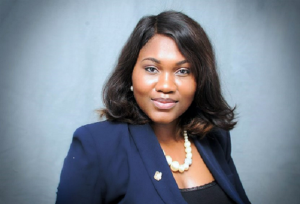 Vivian Maduekeh is a Public Health and Food Systems Consultant with a keen interest in food safety, food security, nutrition, preventive medicine and health literacy. She is the Managing Principal/Founder of Food Health Systems Advisory. Preceding FHS Advisory, She served as a health promotion lead at Nigeria’s premier health insurance firm Hygeia HMO, where she advised corporate clients on disease prevention. She has also worked with the World Health Organization (WHO) Food Safety and Zoonosis Unit in Geneva, a UK Department for International Development (DFID) health project and with Rivers Vegetable Oil Company (RIVOC) as a quality control/ water safety officer. Vivian holds a Masters in International Health and Tropical Medicine from the University of Oxford, UK as an ExxonMobil Global Health Scholar. She received her BSc. (Hons) in Food Science and Technology from the Michael Okpara University of Agriculture, Umudike. Vivian is a professional member of the Institute of Food Science and Technology (IFST). Vivian was selected as a New Voices Fellow (food security) at the Aspen Institute for her outstanding work. She was also nominated as one of the top 42 young African innovators to watch by Ventures Africa. Vivian is a strong believer in food system strengthening and has an excellent track record of delivering solutions that integrate global health, food systems and agriculture in emerging markets.